In last week’s column, Popeye magazine was mentioned, and the importance of craft within any given cultural context was stressed. The November 2018 issue of Atlanta magazine delivers a similar message, featuring handmade products from more than 70 independent craftspeople. The role of the maker in society — those artisans and craftspeople who produce well-considered and carefully crafted designs for mass consumption — is the focus of this issue. The parallels between crafting and making, the maker and the ‘constructor’ (see Blok and constructivism in last week’s column), is important to point out here, regarding the production of culture and its social dynamic (art, design, discourse and craft). 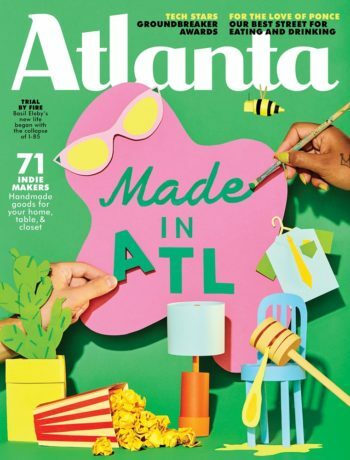 Showcasing emergent, independent arts and crafts practitioners and their quality handmade goods, the cover to this issue is itself an example of handicraft. It is created by design director, Matt Love, and art director, Khoa Tran, with the photographic prowess of Caroline Kilgore. 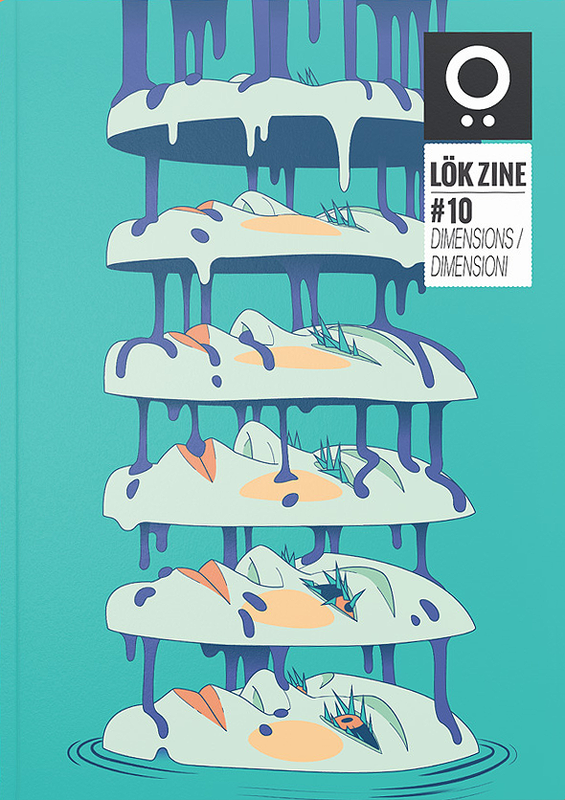 The 10th issue of Lök magazine supports this perspective with the related theme, dimensions (“dimensioni”). 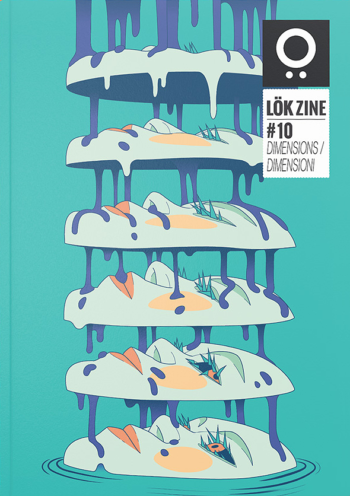 Much like Blok (mentioned last week), Lök is also a magazine and a creative collective, quasi-avant-garde following pseudo-dada traditions, focusing on the production independent publications, organising exhibitions and other happenings. 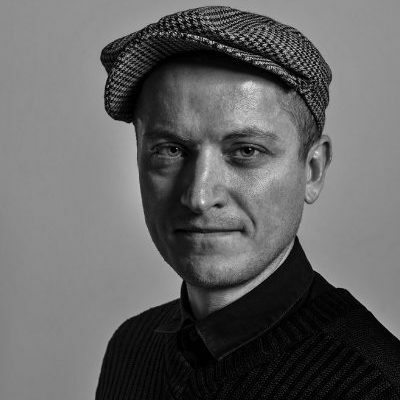 Lök promotes contemporary illustration, comic art, and other likeminded forms of creativity and culture. The cover is by an Italian illustrator based in France, Gloria Pizzilli, with an illustration that looks like a fragmented, echoed image of a traditional Japanese Kabuki mask done in the style of anime. The visual seems to refer to the allegory of Narcissus, making a comment about hyperrealism and terminal identity in the context of the theme. The Gentlewoman has always been at the forefront of contemporary womanhood, presenting inspiring exchanges with women of the moment. The magazine’s unique representation of women is an amalgamation of style and substance, fashion and discourse, within the context of the current feminine zeitgeist. The magazine showcases prolific women with a sincere blend of trend and personality, all within a feminist futurist folk genre of sorts. Although the print version of the magazine steals the limelight, The Gentlewomen’s website is equally impressive, sporting a healthy blend of ‘real’ women’s stories and a ‘virtual’ digital platform. Aside from presenting rich content and well-crafted literature, the website’s embrace of white space, effective use of Futura, and its curated appeal succeeds in creating an aesthetic online experience that arguably matches its printed version. The current issue, #18, the autumn and winter 2018 edition, features Agnès Varda, an iconic French filmmaker. Her work may be described as an experimental mixture of realism and feminism, forming part of the French New Wave, defying French cinematic traditions during the ’50s and ’60s with her implementation of ‘readymade’ locations and unskilled, untrained actors. Great photography supported by quality writing has always been a staple of The Gentlewoman, and this issue sees Varda photographed at her home in Paris by British photographer, Alasdair McLellan, supported by the writing of Pittsburgh-based Holly Brubach. A modern cultural icon, Juxtapoz magazine’s continued investigation into high- and lowbrow art has been ongoing since 1994. Started by a group of young artists and collectors, including Robert Williams, Fausto Vitello, Craig Stecyk, Greg Escalante, and Eric Swenson, the magazine emphasises how the underground feeds the mainstream, thereby creating a market for the accumulation of value and the production of culture, which has been the mainstay of the magazine for the past 25 years. Juxtapoz profiles derelict street artists, offbeat illustrators, emerging fine artists, and related industry practitioners, allowing readers to get a taste of contemporary makers who mostly function below the commercial radar, and the influence they have on pop culture. Jutapoz is a publication that attempts to level the playing field that separates the fine arts from most other creative practices and genres, easily rivalling the circulation of the top highbrow art magazines, such as Art in America and Frieze. Often referred to as the bible of the urban art, or lowbrow, movement, some influential now-established names have adorned the pages of the magazine in the past, including: KAWS, Barry McGee, Camille Rose Garcia, Mark Ryden, and Tom Sachs, to name a few. 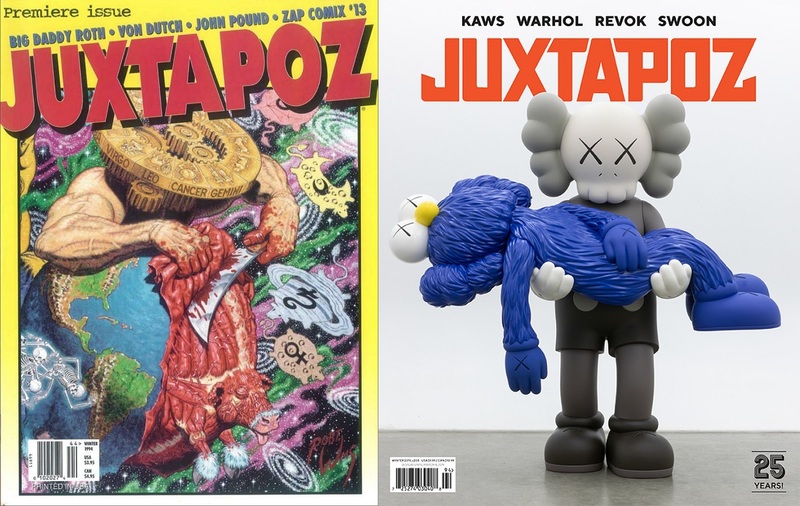 Featuring KAWS on the cover, the current issue, the Winter 2019 edition, celebrates this 25-year-long history by showcasing contemporary superstars such as Swoon, Andy Warhol and Jason Revok, who were once emerging artists in the publication and are now cultural institutions in their own right. This issue shows that, after a quarter century, Juxtapoz deserves its place as an iconic independent title that has contributed immensely to cultural production in the US and across the world.